As a writer, you’ve always been in the public eye: serving on the board of the National Book Critics Circle, reviewing hundreds of books by Latino/Chicano authors, holding various academic appointments, and championing marginalized voices through your involvement in the Quetzal Quill reading series and the Con Tinta collective. Tell me about the challenges of being an activist-writer today. I’ve been truly blessed with opportunity. Fortunately, I had the right mentors, writers who were generous with their time and guidance, who instilled in me a sense of responsibility to my various communities. Being an activist-writer means keeping the door open for others, not closing it right behind you. It means asking yourself what you can do, not only who you can be. I found my calling as a book critic, a supporter of emerging talent, a teacher at a writing program, and an advocate for marginalized voices, particularly from the small presses. It takes time and it takes energy. Two things that writers are usually taught to protect. For many years I conceded to that as an explanation of people’s reluctance to participate the way I was participating. This many years later I simply call it what it is: selfishness, self-absorption, self-importance. The biggest challenge today is finding writers who are willing to do the kind of work I have done for many years. Young writers can become so caught up in this strange fantasy called a professional career, that they lose sight of community. A Facebook profile and posting links is all it takes nowadays for a writer to feel they’re contributing to a cause or a movement. I suppose it can be helpful, I don’t know, I don’t Facebook. It’s not that I’m suspicious of social media. If anything, I learned that there are some extraordinary critical thinkers out there by reading blog entries. Those articulate and intelligent posts give me hope that not everything is compressed or reduced to dismissible one-liners, that not everyone stares at the screen—our shiny new mirror—to Google themselves and send updates of their inane musings. I know, I’ve eased into my old queen role quite comfortably and I make no apologies. Your nonfiction collection, Red-Inked Retablos, is a highly personalized book of essays, combining literary criticism, autobiographical sketches, and polemical speeches. Did you have any models in mind when you conceived of the collection in this way? Did you have to re-define the essay-form in any way to suit your purposes? Luckily for me, the essay form continues to expand and evolve, so I didn’t have to reinvent anything; I just had to reach toward my bookshelf for some inspiration in terms of structuring and weaving the distinct projects together. I will single out Gloria Anzaldúa’s Borderlands/ La Frontera. As the work of a trailblazing thinker, Anzaldúa defied easy categorization or classification, she dismissed the borders of genre and shaped an incredible and very introspective book about identity, community, and responsibility. Where did the personal narrative end and where did the development of border theory begin? Well, in a book that’s a dialogue between the two (and other concerns) there will be a fluidity of language. I also enjoyed the mixing of the personal and critical in August Kleinzahler’s Cutty, One Rock, in Kathleen Alcalá’s The Desert Remembers My Name, and John Rechy’s Beneath the Skin. What’s the significance of the title—especially your choice of the word “retablos”? Since many of the people I write about in this collection have passed away, in a way I am memorializing them in print. So when I was coming up with a title, I knew that this was a cluster of “literary altars.” Retablos are usually depictions of saints. I am not using the term as an act of spirituality but rather an act of creativity and imagination, which is just as heartfelt and intimate. Secondly, since I’m culturally Catholic, ceremony is important to me. And by writing about such figures as Truman Capote, John Rechy, Thomas James, and Mariposa literature, I’m also queering a Catholic tradition, which is yet another nod toward Anzaldúa, who believed bringing conflicting voices into dialogue, even if it hurt. Essays and criticism are often written with a different audience in mind than fiction, especially YA fiction. How did your perceived or intended audience shape the book, especially vis-a-vis your role and responsibilities as an activist-writer? I think I’ve established my reputation as a versatile writer, and my ideal reader is that person who can follow me on the many paths I take—poetry, fiction, nonfiction, and criticism. I’ve been reviewing books for over a decade and my fourth book of poetry, Unpeopled Eden, is due out in the fall, a book of short prose, Autobiography of My Hungers, was also just released. I don’t think about who will read what since there is so much overlap in the material: I continue to explore the politics of the identity, of Chicano/ Latino culture, of queerness. Those who journey with me understand that I’m building a body of work whose individual books dialogue with each other. Red-Inked Retablos was an opportunity to bring together within a single book cover a number of those conversations, like my awakening to the power of books, my admiration for writers who became important literary mentors, and my passionate speeches about being Latino and queer in America. I synthesize those themes in the final essay in the book in which I make an argument for “Mariposa literature”—books that are shaping a queer Latino consciousness for the next generation of readers, all of my books included. That essay alone will be an important resource for those seeking a bigger picture of queer Latino letters. To be part of that community is empowering; to spread the word is life-saving. That’s what I call literary activism. Some of my my favorite essays in the collection—”The Truman Capote Aria,” “Easter Rock: 1983″—deal with difficult childhood memories. How does the form and structure of an essay (as opposed to, for example, a story) help you deal with this difficult material? Creative nonfiction is immediately revelatory. There is an opportunity for honesty and introspection. The central narrator is me, not an invented or imagined persona, so I necessarily have to deal with the trauma or conflict or anxiety that I write about. But more importantly, I can also benefit from the sense of hope or recovery that comes from negotiating despair. I’m currently working on a second book-length memoir, a sequel to Butterfly Boy, in which I’m finally forgiving my father, or rather, in which I’m finally coming to terms with the emotional distance that separated us. It took thirty years to get to that place and committing it to print will help me see the relationship outside of my head, achieving another level of clarity. Not to write it, not to give it shape, would be toxic. Among the many issues you tackle in your writing, are there some that are better suited to non-fiction than fiction or poetry, and if so, why? Certainly the speeches and the more academic studies that I include in Red-Inked Retablos, and when I write about my family. I can’t fictionalize my family—the experience was just so real, so strange, that if I attempted to pass it off as fiction no one would believe it. I can say the same about my life. It is unconvincing as fiction but quite credible as nonfiction, because it’s difficult to question memory, which is flawed and subjective. A lot of ink has been spilled about gay men and their mothers, but in the Mariposa books—in which our hero, Maui, has lost his mother to cancer—the focus is on the father. Maui’s relationship with his dad is touching, tender and real. Their conversations—even the difficult ones—are full of mutual love and respect. I’m sure a lot of gay sons reading your book wish they could talk to their fathers the way Maui talks to his Papi! What are your thoughts on the importance of familial love in regards to shaping young gay men’s self-respect? Like many gay men, I had to leave my family in order to thrive. But that lack of familial love—that emptiness—continues to haunt me. This is one narrative, and if a gay person calls it a tragedy or not depends on that person’s experience. Over the years I came across other narratives, the ones in which a person’s sexuality was embraced, accepted or at least tolerated by the family. It’s important to acknowledge that there are many journeys, and that the family plays a role, no matter how small or tangential, in all of them. I’m one of those gay sons who wishes he could have been able to talk to his father, but alas, that never happened. I do my talking through the page. I don’t expect an answer but to have readers listen to my questions, my desires, gives me solace. When I set out to write a book about young gay men in high school, I knew I had to engage their interactions and relationships with their families. It wasn’t enough to keep young people closeted or isolated. I wanted to show how freeing such things as fantasy, dreams and looking toward the future could be, particularly for those who were going through a difficult adolescence. But our parents, siblings and extended family are our first teachers. We learn to love, appreciate and value through them. And when they stop loving us, or can’t love us anymore, we find other families in order to continue to grow as human beings, and to redirect our life journeys toward more positive and enriching experiences. In brief, we have learned to be resilient—we can live with or without the families we were born into. Has “the struggle” changed since you first started? You’ve also said that your mission is as a Chicano writer is to “populate the bookshelves.” What do you mean by that? A writer writes. Even with all of my commitments I still find time to write. I remember writing chapters of the Mariposa books on airplanes, in airports. When I have a busy teaching schedule, I set aside midnight to 4 AM, just for my writing. I wasn’t going to let anything get in the way. That’s an attitude that I adopted a very long time ago and I have stuck to it. Part of my mission as an activist-writer is to publish what I write—I’m not writing for myself, I’m writing with purpose for an audience. In terms of “the struggle,” I define that as feeling as if there’s little opportunity or slim chances because there are not more of our community’s stories on the shelves. 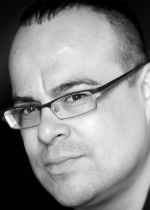 I wanted to have young queer and/or Latino writers imagine that their voices mattered because there was Rigoberto González, writing and publishing. Are there still obstacles and challenges? Certainly. But we have such a rich bookshelf that keeps growing, therefore we also know that those obstacles and challenges aren’t stopping us. 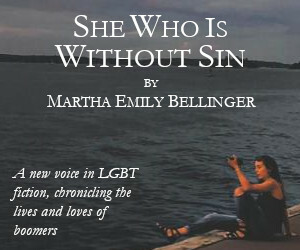 A dedicated and enthusiastic network of LGBT bloggers, many of them teenagers, read and comment on the Mariposa books. How did readers’ responses to the first book in the series, The Mariposa Club, shape the characters, themes, and issues you tackle in the sequels? These young people are amazing. I was thrilled to hear from them, be interviewed by them, to have them critique and review my work. Yes, they did influence how I moved through the Mariposa series, particularly with the characterization of Maui. There was something about Maui’s temper that didn’t sit well with a number of readers, so I toned it down in the second book. Some readers were also skeptical about Maui’s virginity—but I stuck to my guns on that one. If anything, I allowed Maui to struggle with his decision in the sequel, in which a very charming and aggressive beau comes into his life. The Mariposa series is basically tracing Maui’s maturity and growing consciousness not only about his identity as a gay man, but as a politicized Chicano. Both are negotiated more fully in book three. More than just your typical YA rite-of-passage story, Mariposa Gown dramatizes Maui‘s political coming-of-age as well, as he and other members of his community become involved in workers’ rights demonstrations. What did you want your readers to take away from this aspect of the story? That we are members of many communities, that our responsibilities are not limited by identity labels or by the walls of our homes, or by the borders of our towns. That we are citizens of a broader, ever-changing world. Maui is slowly coming to terms with a number of things: that he is not the center of one story, that he is a participant in a network of stories; that he will keep making mistakes because as he ages his world becomes more complicated, and that with age comes the wisdom of perseverance, resilience, and insight; and that emotional strength comes from confronting his weaknesses, flaws and all of those other parts of his personality that make him a complex individual. As he moves forward in life, Maui will discover he has many roles to undertake at one time—it can be overwhelming, but mostly it can be empowering. Trini is quite special—her outspokenness allows me to write some hilarious zingers. But she’s not the clown in the group, and I didn’t want to include her simply for comic relief. If anything, she surprises the other Mariposa Club members with her incredible insights about human behavior because she’s been through some tough times. I admire her immensely and one of my dreams is to write a book in which Trini is the center of the story. More on that later. In the meantime, there are a number of incredible books out there that explore trans youth identity and stories: Luna by Julie Ann Peters, is probably one of the more popular; Ellen Wittlinger’s Parrotfish; Marcus Ewert’s 10,000 Dresses; Charlie Anders’s Choir Boy; and Meagan Brothers’s Debbie Harry Sings in French—to name a few I recommend. Queerness is such a complex state of being that the bookshelf will continue to expand to welcome the stories and experiences that will be written by the next generation of queer youth. Your raw and heartfelt memoir, The Butterfly Boy, delves deep into the hardship and struggles in your own family growing up. Family is also a big theme in the Mariposa books, and through Maui, Lib, Trini, and Isaac you portray a range of family situations, from supportive to abusive. How much does your own family experience shape the fictional families of your characters? As a writer I draw from experience, observation and imagination—that’s three wonderful resources at my disposal. I left my family when I was 17 years old, and I always thought that many years later I would have to resort to the latter two resources since no new memories of my birth family are getting created. But I just finished writing another book of memories coming out next year, Autobiography of My Hungers, which is a parallel narrative to Butterfly Boy. I return to the scene of my family time to explore the theme of want. All these years later I still want my family. Most of them are now dead, so I am reclaiming them on the page. I suppose that when I sit down and write scenes with Maui and Lib, especially, I am nourishing my need to witness someone else find happiness in situations where I found heartbreak. In many ways, Maui’s story is a parallel narrative to mine, and because I have a little more control this time, I try to guide him toward brighter paths. The Mariposa books track Maui‘s trials and tribulations in love. At the end of The Mariposa Club, the first book in the series, things aren’t looking that great for our hero: he’s still a virgin, he has a distant crush on a gang-member who ends up dead, and the boy he really loves has skipped town. In Mariposa Gown, Maui finally gets some, thanks to newcomer Sebastian, but their relationship is complicated to say the least. Why is Maui‘s road to romance so bumpy, and what message(s) do you want young readers to take away from this? I am sure that any young person figures out by high school that love is not easy, that relationships are stressful and sometimes hurtful. I think we are fooled by the many fantasy narratives we are fed through romance comedies on television and movies. Books give us the less romanticized versions, the clearer visions of what terror and trouble love really is. And yet there we are, falling in love over and over again. If Maui fell in love with a nice boy, there wouldn’t be much of a story, as much as we all pine for such a story for ourselves. Or rather, maybe Maui is like us after all and falls in love with the bad boys—Maui’s high school crushes are cupcakes compared to what awaits him in college. You’ll have to read the next book to find out, but I will give you a big hint—it’s similar to what I went through in college, as narrated in Butterfly Boy. As I said earlier, I am not Maui but we have parallel stories. I thought hard about this decision and I decided to test Maui as he heads out of his teenage years with a troubling romance with a young man who is also an alcoholic. As he moves into adulthood, so too do Maui’s encounters become more intense. You’ve used the term “Mariposa literature” to talk about the new generation of Latino/Chicano writers (think Charles Rice-Gonzalez and Justin Torres) who, like yourself, write about queer issues with specific reference to Latino/Chicano youth. What attracts you to the young adult genre, what do you see as its strengths (and limitations), and how do you see the Mariposa books within the larger canon of coming-of-age literature? 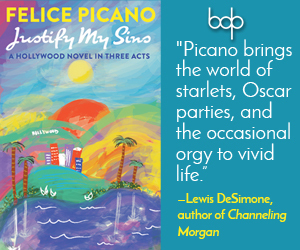 In many ways, all of Mariposa literature is literature for young adults. Young people feature prominently in many of the novels and short story collections. I believe young people are the ideal audience because the future will be shaped by their minds—and as writers we want to contribute to their knowledge, their empathy, their education. But we shouldn’t preach, we should dialogue, otherwise we will simply instill in them our own folly and missteps. As our Latino population continues to grow, so will the number of readers. This is an extraordinary reality. I truly believe that Latino youth will want to seek out their particular literary legacy even as we encourage them to read widely and without limiting themselves to one group. As I stated earlier, what better way to show young readers that they are multi-faceted human beings with connections to various communities than by writing stories that show those movements, those awakenings to many responsibilities. Mariposa coming-of-age stories come alive in that difficult yet wonderful intersection between ethnicity and sexuality, where queerness and Latino identity are not mutually exclusive but struggle and succeed side by side. Add to that the theme of class, which is also prominently illustrated in Mariposa lit, and you have a perfect example of the universal theme of growing up. We read books about growing up not to figure out how to do it, but rather to figure out what the hell happened! What is the future of “Mariposa” lit?! Oh it’s going to get bigger and better. I’m excited to see a number of queer Latinos taking a chance in the MFA writing programs and I’m excited to read what these younger imaginations will create in the near future. We will probably see more stories about the biracial experience, about the immigrant experience in the new millennium, about gay marriage and adoptions, about how technology plays a role in identity-formation–something I am no authority on! Sadly, we will still be reading about homophobia, racism and the anti-immigrant sentiment. But that’s why we write—to imagine new possibilities and to articulate our ills in order to find the words that will soothe us. Dark topics—death, violence, and abuse—recur in your work, from poetry to non-fiction to memoir. How do you adapt those adult themes in writing for children and young adults? One of the many things that has always bothered me about American society is how it purports to “protect” children by infantilizing them until age 18. It’s troubling how libraries and schools ban and censor literature that explores such issues as sexuality, and society allows television, video games and the internet to flood young minds with misinformation and misdirection. Since my books are banned in a number of places, I don’t worry about how to make them “acceptable.” The world is not a polite place, no matter what anyone says. Permission is always denied so why ask for it? I give much more credit to children and youth than many adults do. Young minds have large imaginations. it’s the adult world that’s narrow and limiting. Death, violence, and abuse are not foreign concepts to the young and therefore it’s ridiculous to block an important lighted path–literature–that will help young people process those realities. Only when I write for grown-ups do I sometimes have to dumb things down. I said that and I stand by it. The Mariposa books are a young adult series for LGBT youth. The first two books, The Mariposa Club and Mariposa Gown, are set in high school, but in the forthcoming third book in the series, Mariposa U., we follow Maui & company to college. How do you plan to keep the series fresh? I always envisioned the Mariposa series as a trilogy, but that’s only with Maui as the narrator. I’m already thinking ahead, and am seriously considering a book in the point of view and voice of Trini. She was the only one who didn’t make it out of Caliente Valley, the club’s hometown. But that doesn’t mean she’s a prisoner—through her incredible panache she will find her freedom without having to leave home. And if I imagine the series beyond that, I would love to come back to Lib, who in college will be struggling more seriously with his weight issue. He was always so body positive as a teenager, but something happens to him during his twenties that damages his self-esteem. I think I’ll leave it at that for now. I’ve got a number of other projects in the works, so it’ll be a few years before I can get to these two possibilities. Thank you for these great questions. And to the readers of the Mariposa books: thank you for your loyalty. Mariposa hugs! Bernard Lumpkin writes about contemporary art, Young Adult fiction, and medieval literature. His work has appeared in The Brooklyn Rail, Verbal Pyrotechnics, and Arthuriana. He is currently writing a personal essay about his sister, the performance artist known as Narcissister.